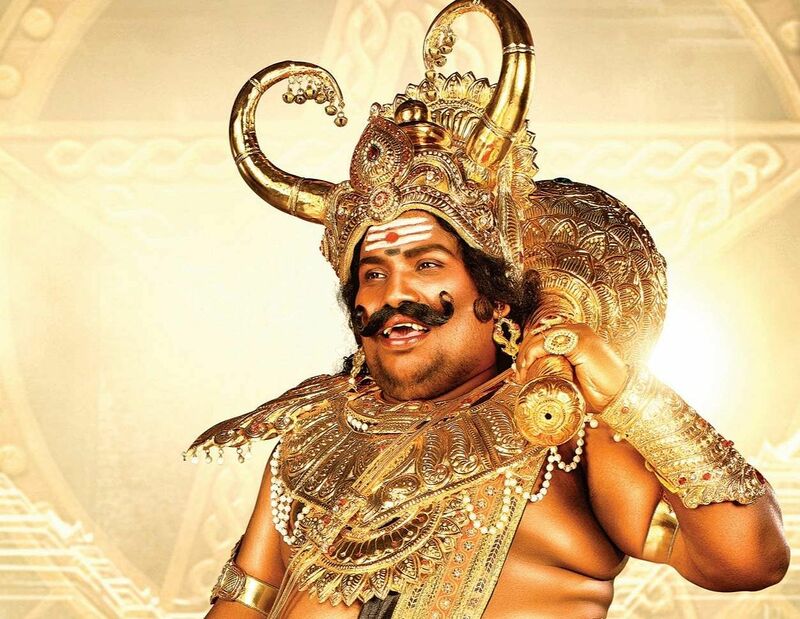 The quirky teaser of Dharmaprabhu features Yogi Babu as the Hindu God, Yamadharma Raja, and Ramesh Thilak as his assistant, Chitragupta. It is interesting to see Babu drive a bike fashioned like a buffalo and place an order in Yamalogam to send all the sinners to heaven. Unlike Goundamani and Vinu Chakravarthy, who played Yama speaking pure Tamil in the past, Yogi Babu has a North Madras accent in this teaser. Radha Ravi will be playing Yama's father and Janani Iyer will be seen in a cameo role in the film.